We have our annual Open House event of all the printed entries into the Printing Industries Graphex contest. Over 350 printed pieces! Twenty plus tables of printed inspiration, mill reps and refreshments (and Barista!) available from 8:00-3:00 on Tuesday, April 30th. Location is downtown at Posty Cards. Raffle prizes too including chance to win the book, Designing for Print by Marina Joyce. RSVP is appreciated especially if anyone is planning to attend over lunch. lots of workshops, exhibition, lectures, and more happening all summer if you have the opportunity to travel to france! The Graphic Design Intern works closely with the Graphic Design Manager to support various communications and marketing materials throughout the hospital, including all aspects of graphic design conception to production; proposing creative ideas in support of strategy; actively supporting and art directing photo shoots, meetings, etc. ; working with team members to ensure action items are completed using Workfront®project management software, as well as additional duties as assigned. Working with the Graphic Design Manager, interns will be exposed to the fields of communications and marketing, healthcare marketing, printing, media, digital, and photography. The intern will also work with outside agencies, contractors and printers to complete work. Strong creative skills, knowledge of Creative Cloud, and proficiency in MAC and PC are preferred. Illustration skills are a plus. To be considered, we recommend you have a portfolio of work to present. 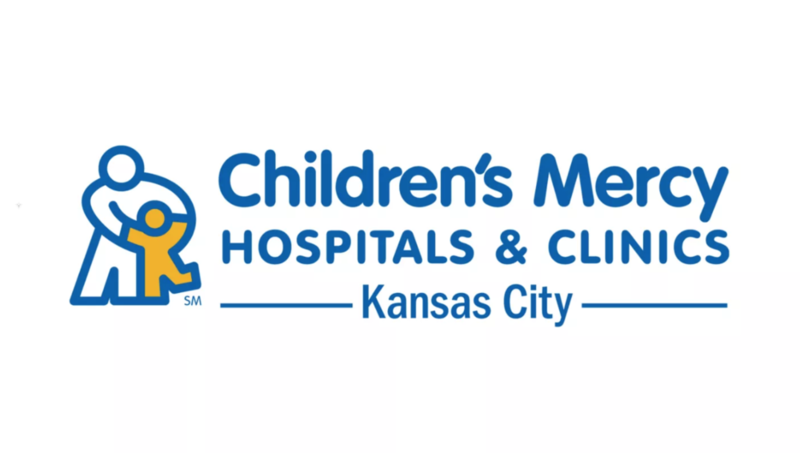 To apply, please visit https://www.childrensmercy.org/careers, or reach out to Nikki Esser at (816) 302-0144 or nresser@cmh.edu. What are you doing this (early) June? You’re looking into an internship opportunity with POPULOUS! POPULOUS is a global architecture and design firm that creates the places where people love to be together, like Yankee Stadium, the London Olympics, and the Super Bowl. Over the last 30 years, the firm has designed more than 2,500 projects worth $40 billion across emerging and established markets. Populous’ comprehensive services include architecture, interior design, event planning and overlay, environmental graphics and wayfinding, master planning, landscape design, urban planning and sustainable design consulting. With regional headquarters in Kansas City, London, and Brisbane, Populous has 18 offices on four continents. Paintbrush Studio is looking for a design intern, offering a part-time, paid position. Paintbrush Studio is a division of quilting manufacturer Fabri-Quilt, specializing in high-quality designer fabrics for sewing, quilting and crafting. This internship position will require collaboration within the creative team, as well as report to upper management. Some exciting opportunities include generating color cards for pattern collections, PSD mock-ups for current pattern collections, creating and uploading imagery to the website and/or social media, curating social media images as well as designing graphic for email marketing newsletters. Some qualifications include, but are not limited to, strong knowledge of Photoshop and Illustrator, basic understanding of Squarespace and/or Shopify web platforms, ability to shoot with DSLR camera, and/or light video editing capabilities (iMovie or Premier). For more information, please visit https://drive.google.com/file/d/1nTphYcepaRpVbLLdQpZDokv7M4YBKrik/view. Keep an eye out for this internship with Garmin for the summer of 2019. Proficiency in word processing and database programs and edit or motion graphic software a plus! Act as a Production Assistant on shoots and be assigned various tasks and responsibilities during the shoot. IBM is looking for a design researcher for June of 2019. Be sure to look over the details on how to apply. Job description: Design Research (RSR): As a Design Researcher, you will specialize in uncovering user needs. You must have a foundation in qualitative and quantitative research methods and a practical ability to interview and observe users. Design Researchers also use analytical techniques and their own judgment to prioritize design work and communicate those results to other members of the design team. Their findings yield insights that can be used to determine what people need from their tools, the exact points where users are abandoning solutions, and even help uncover the next big innovation in a product line. An opportunity for mural work is in sight! Commission: Outdoor mural painting. The wall is 12’ x 36’. Interested students should email Tyler Galloway at tgalloway@kai.edu, who will connect you with Mr. Hoffman. I'm looking for a design for a web site I'm currently building. It's called FemTunes, a blog for female (or female identifying) computer programmers who like badass tunes with a bit of interesting music trivia on the side. The site, along with social channels, will be launching later this fall. It is loosely inspired by one of my favorite internet radio stations, WeFunkRadio in Montreal. I would love to feature one of your designs for FemTunes branded merchandise such as t-shirts, tote bags, posters, etc. If you pitch me 3 designs featuring the name "FemTunes", I'll pick one and give you $75 up front, plus ongoing royalties for each item sold. I don't anticipate revisions to the chosen design unless there are printing issues (i.e. too much detail or font that is too small). Designs should be "casual office" appropriate; meaning no explicit language, sexual or violent imagery, etc. They can be funky, edgy, and cool... but not offensive. The playlists feature a variety of music, including rap, hip hop, funk, soul, international, country, rock, pop, and k-pop. If you have Spotify, you can access the the playlists to get a feel for the vibe. I try to curate playlists that are upbeat, funky, worldly, fun, positive, sassy, and BOSS. I'm a female software engineer with 15 years in the tech industry. I'm a UMKC grad, born & raised in Kansas City. I love supporting the local arts here! Last fall I left my full-time software development job to pursue my entrepreneurial goals. FemTunes is one of them! I hope you'll consider this and let me know if you're interested.